In 2018, SEEK developed the Interview Builder - a tool that helps recruiters and employers build customised interviews. 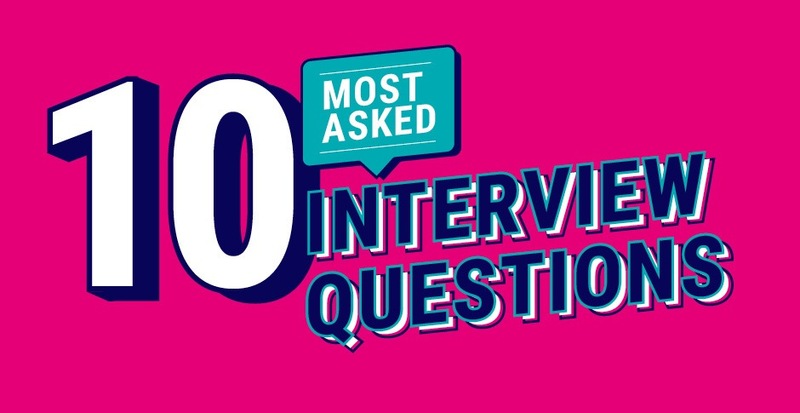 Since its launch, more than 3,000 interviews have been created, and we’ve analysed them to reveal the top 10 most-asked interview questions. Leading recruiters, Steve Shepard, CEO of TwoPointZero and Suzie McInerney, CEO of Six Degrees Executive take us through the reasoning behind each question and explain what recruiters and hiring managers are looking for in a response. Why employers ask this question? Steve: Employers want to get a sense of how well you understand the role and its day-to-day requirements. They also want to find out whether your skills match the job description and what you can do for the organisation overall. What’s a good response to this question? Steve: If you can link your skills to what the company or organisation does and its business goals and objectives, you’re on the right track. Aim to give practical examples of your past experiences and where your skills can add value. The more you understand about the role and have researched the organisation, considering its stakeholders, customers, business strategy, goals and objectives, the more you’ll be able to talk about how you can contribute. What's your understanding of the role and why are you interested? Suzie: This question helps recruiters gain a genuine understanding of which aspects of the role you are most interested in, in order to assess if you’re well suited to the role. Suzie: Recruiters are seeking an interpretation of the role in your own words, not a regurgitation of the job ad. The best answers are those that clearly demonstrate which aspects of the role you will be able to do well and how this will add value to the organisation and help achieve organisational goals. Why are you interested in working at this organisation? Suzie: Have you done your homework? This question shows how much research you have done, demonstrating motivation for the job and providing recruiters with an insight into your own values to ensure they align with the hiring organisation. Suzie: If you can build a connection with the organisation's people, strategy and values and your own values and aspirations, you will show the potential employer why you’re an ideal fit. Steve: This question aims to reveal your time management and decision-making skills. Employers want to understand how you prioritise things and the way you engage with people during that process. Steve: A good way to answer this question is to give an example of how you prioritised things in a previous role. What parts of your current role do you really love? Suzie: This shows the recruiter what is most important to you and how and why you gain satisfaction from different aspects of your career. The response helps guide the interviewer on how you can make a difference and what gives you the most energy, for example, people management, processes or innovative thinking. Suzie: Good answers are less about tasks and more about showing your passion, what you are most proud of, and how you have made an impact in your current role. What parts of your current role frustrate you? Steve: Employers accept that there will be elements of every job that may be frustrating so it’s important to be honest when answering this question. By asking this question they are wanting to find out if you’re compatible with the role you’re applying for. Steve: Rather than just venting things you find frustrating about your current role, try to frame your response in a positive light by talking about how you manage your frustration. Also, remember to think about the job description – for example, you don’t want to say you find dealing with difficult customers frustrating if the role is customer-facing. Give me an example of a time when you made a mistake or didn't deliver on expectations, what happened? What did you learn? Steve: Most businesses accept that people make mistakes. What is more important is that you learn from them. Employers are trying to establish what processes you use to analyse problems and how you go about solving them. Steve: The key here is to focus on the take outs from your mistakes. It’s a good idea to give an example of a past mistake – what were the circumstances? What was your decision-making process and how did you move forward from the mistake? Steve: Employers want to find out if you have an appetite for self-development and improvement. Steve: An answer that shows a desire to improve behaviour and continuously learn and grow is important. Always offer a reason for why you want to develop a particular skill. For example, you might say you’re interested in developing your photoshop skills in order to enhance your marketing ability. Talk us through your professional and technical skill-set. Suzie: This question aims to understand your full skillset to do the job. Articulating technical skillsets is a straightforward science, however talking about professional or ‘softer’ skills such as communication and leadership are often more difficult, so it’s important to come equipped with examples of these skills in action. Suzie: Authentic answers work best – this is not a laundry list of generic traits. Substantiating traits with real examples is important. This question is a great opportunity to share your technical know-how by demonstrating how you used a particular technical skill in a past job and how this skill will be relevant to the job you’re applying for. Steve: Employers want to find out how you handle confrontation. Are you someone who is argumentative or do you stay silent? Or perhaps you are someone who calmly states your case and offers alternatives in a constructive way, accepting that not everyone will agree with your point of view. Steve: This type of behavioural question is best answered using an example. E.g. this was a time when I didn’t agree with my boss. This is how I handled it, this was the outcome and this is what I learned.